While e-cigarettes have catapulted into a billion dollar industry, now is the time to launch your e-cigarette business and take it online to maximize your sales. E-Cigarettes are considered a high risk industry, however, and credit card processing solutions can be difficult to find. However, with Instabill’s e-cigarette merchant accounts, you can find the exact payment processing services you need to make your business succeed. How do I get an e-cigarette merchant account? 3-6 months of payment processing statements with company name outlining total sales, returns, refunds and chargebacks. In May of 2016, the U.S. Food and Drug Administration imposed new regulations for e-cigarette merchants and products, to take effect Aug. 4, 2016. The new FDA rules on e-cigarettes impact areas such as age limits; registering with the FDA and providing information on manufacturing and products; a ban on offering free samples and inspections among other regulations. Why are e-cigarettes considered a high risk industry? There has been a long-standing debate on whether vaping is safer than traditional cigarettes. A recent study by Public Health England, however, determined that e-cigarettes are 95 percent less harmful than traditional cigarettes. 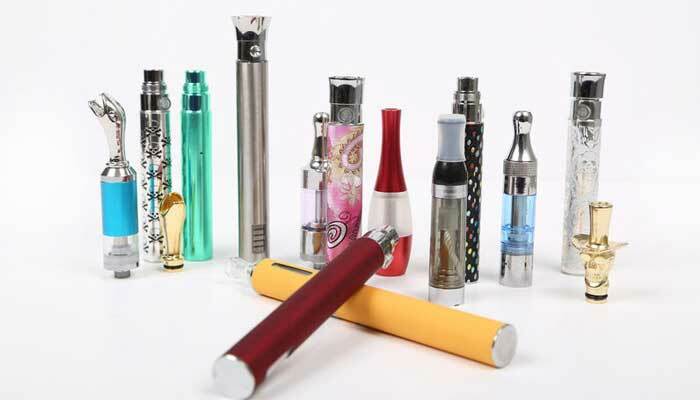 E-cigarettes are considered a high risk industry for health reasons, and high risk merchants will encounter challenges when searching for adequate credit card processing services. However, there’s a way you can accept payments from Visa, MasterCard, American Express, and Discover credit cards—an Instabill merchant account. Instabill partners with a wide range of domestic, international offshore acquiring banks, allowing us to provide customizable solutions for your business. We’ll work hard to get your business processing payments fast. Own a retail e-cigarette store? Our e-cigarette merchant accounts don’t stop at e-commerce. We provide solutions for those looking to sell e-cigarettes and nicotine products out of their storefront vape shops. Retail merchant accounts from Instabill also give you access to the latest POS systems and pay terminals, assuring you have what you need to accept credit card payments in-store. Instabill offers competitive and industry-affordable e-cigarette merchant account fees. Our merchant account managers match you with the best acquiring banking partner that knows the e-cigarette payment processing industry. Once matched, the bank will process your application and determine your merchant account fees.